So I already did step 3 where I replaced the roof liner with a black one but since Im still waiting for the black sunnies holder I did not take photos yet. The white one in there is an eye sore. Will post that writeup asap. 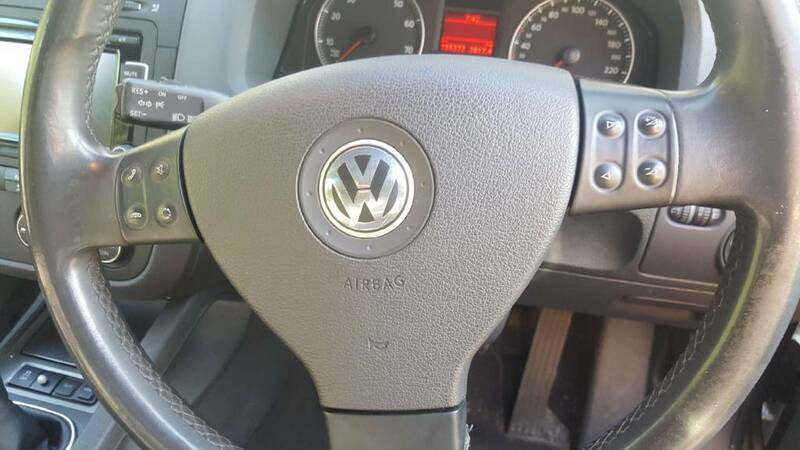 I started looking at replacing the cluster in my car and ended up replacing the steering wheel so long. 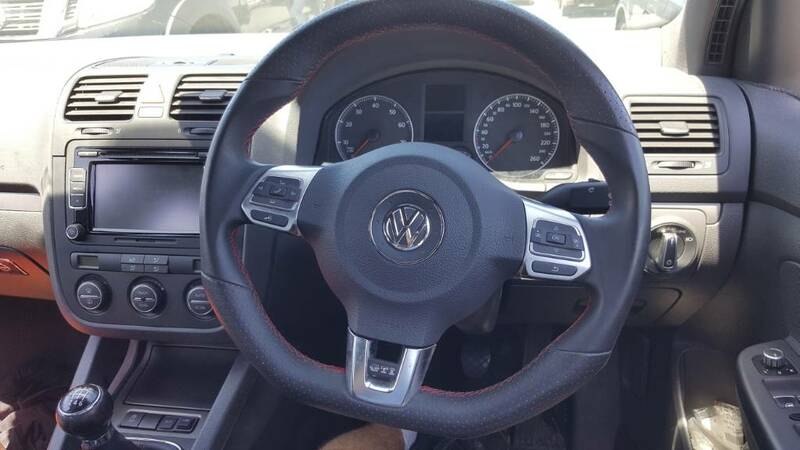 Bought a mk6 gti steering wheel with the red leather stiching so also replaced the hand brake cover and shifter gator to match. Looks much better and now I can start focussing on getting a premium cluster into my car.